Create continuous intelligence with real-time analytics. What is CrowdStrike Falcon Platform? Falcon Platform unifies three technologies – next-generation antivirus, endpoint detection and response, and around-the-clock threat hunting to provide continuous breach prevention. Falcon Platform provides complete protection – prevention and detection – against both malware and malware-free, known and unknown, coming from the outside or the inside. It uses a revolutionary approach designed from the ground up to match the human and technical challenges of existing and future threats. Run lightning-fast log analysis searches that utilize technology and quickly find the answers to critical questions about your CrowdStrike Falcon environment. 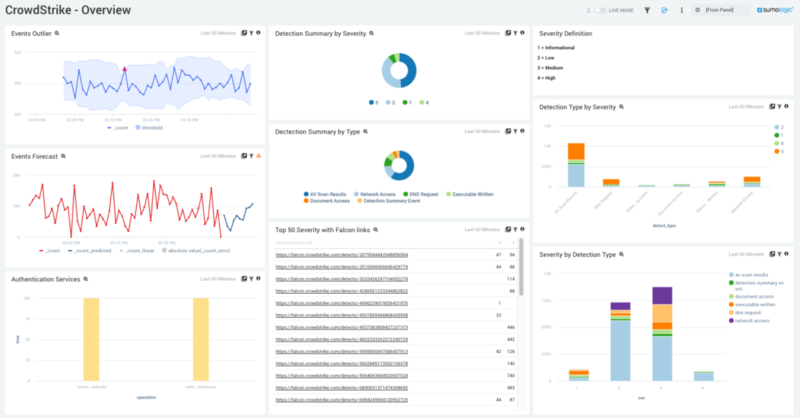 Gain unique insights into your vulnerabilities, authentication services, AV scans, DNS requests, and document access by integrating the Sumo Logic app, which uses real-time machine data to provide a comprehensive analysis of your Falcon Platform environment. 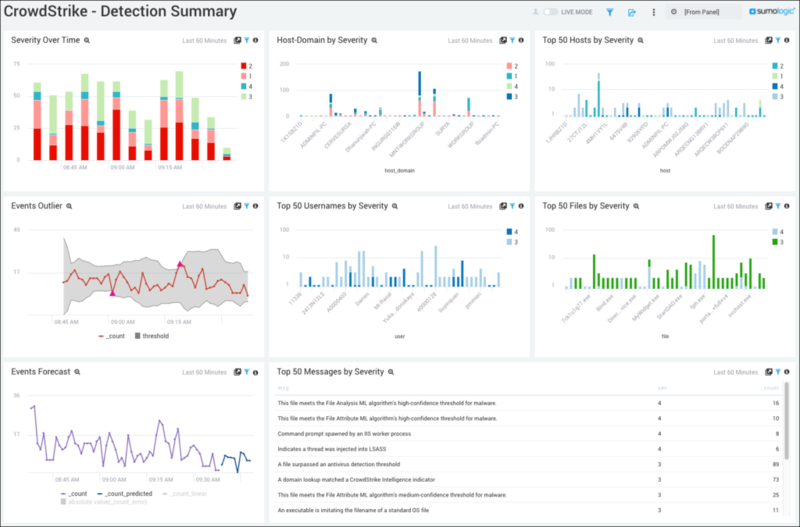 Find out more about how the Sumo Logic log analysis app for CrowdStrike Falcon can help make your organization more efficient, effective and secure.